While using any operating system, the users are supposed to perform some maintenance related tasks on their own in order to keep their operating system up and running. However, Windows 10 provides its users with the capability to automate these maintenance tasks and takes off that burden of performing these tasks manually from the users’ shoulders. 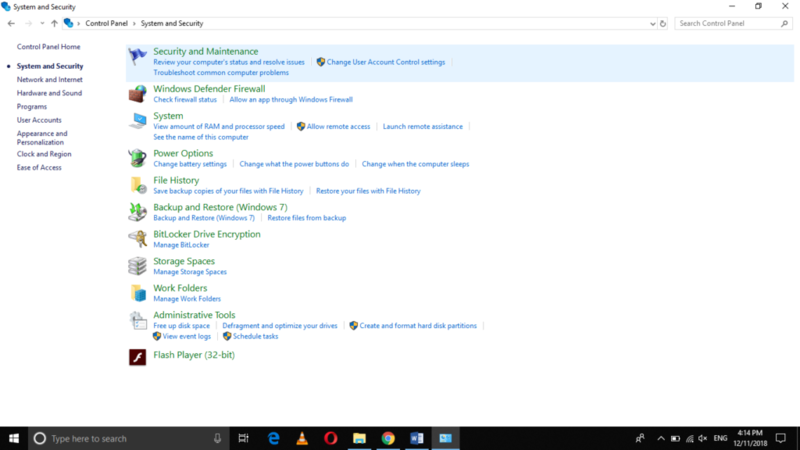 In this article, we will explain to you the method through which you can automate the common maintenance tasks such as disk cleanup and defragmentation in Windows 10. Now click on the System tab as highlighted in the image shown above. 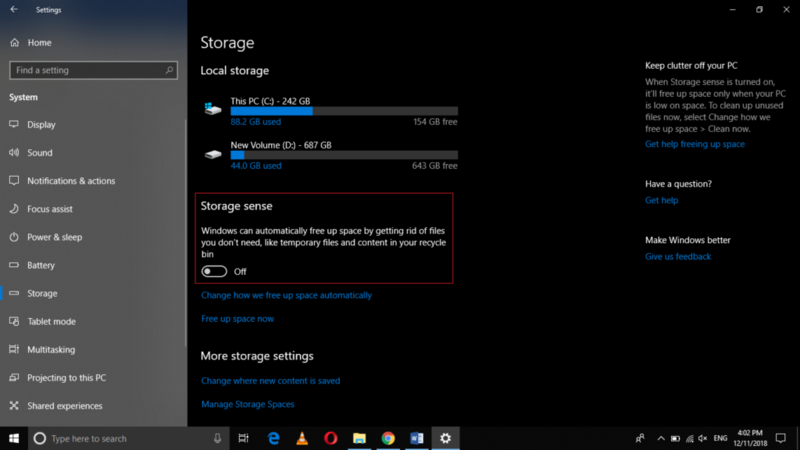 In the System Settings window, click on the Storage tab. 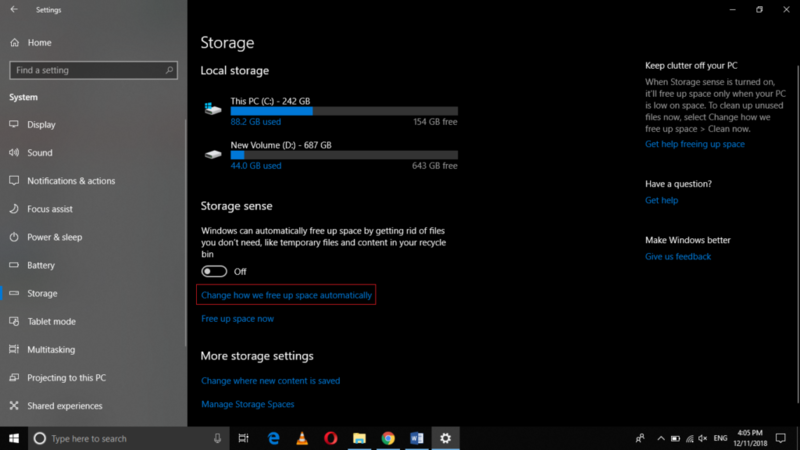 Click on the link saying, “Change how we free up space automatically” in order to customize the Storage Sense settings according to your own choice. 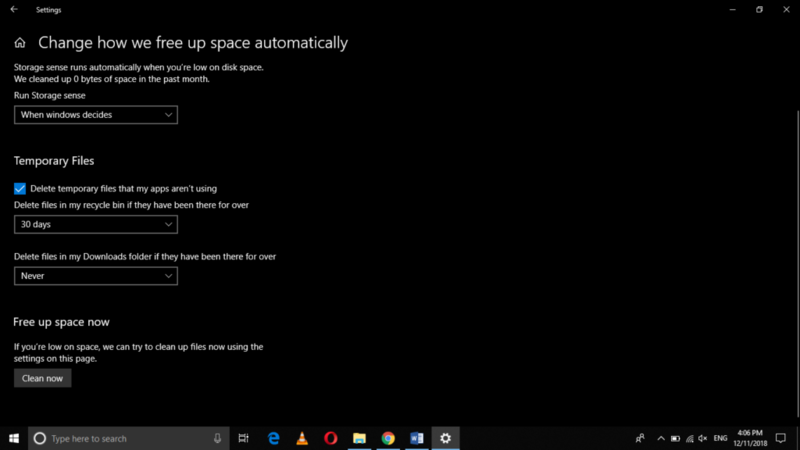 By following the steps mentioned above, you will be able to automate the disk cleanup, which would otherwise have been a very tedious task to accomplish. Now we will look at the method of automating defragmentation. Windows 10 already has automated the hard drive defragmentation by default. However, you can always choose a time for the occurrence of this task. 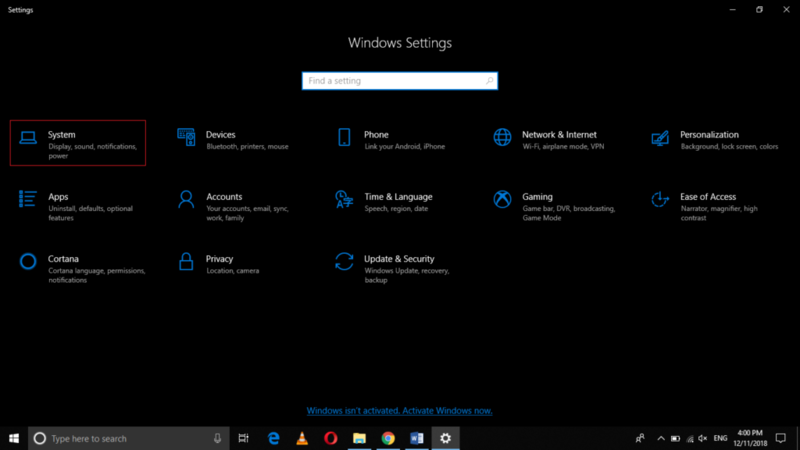 Generally, at the scheduled time, Windows 10 wakes up your computer system from sleep in order to perform this task. You can also choose whether to do this or not. Now click on the System and Security tab as highlighted in the image shown above. 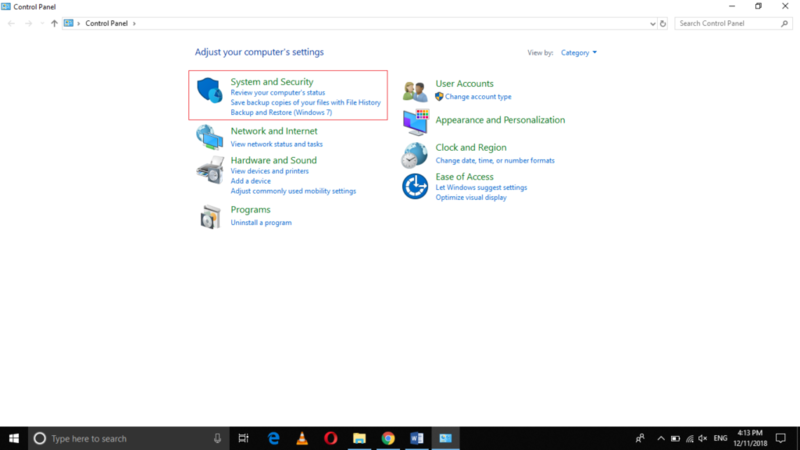 In the System and Security window, click on the Security and Maintenance tab. Now expand the Maintenance section by clicking on the arrow located next to it. 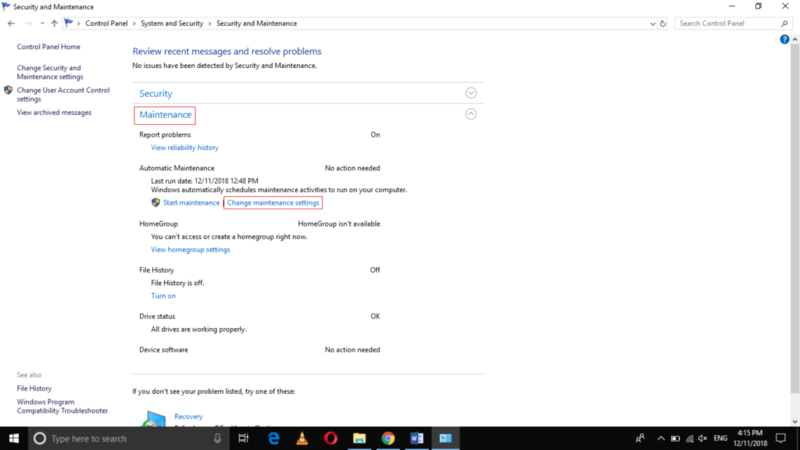 Click on the Change Maintenance Settings link as highlighted in the image shown above. Once you are done with the customization of your settings, just click on the OK button in order to save your settings. By following the method discussed in this article, you can easily automate the common maintenance tasks such as disk cleanup and defragmentation in Windows 10. 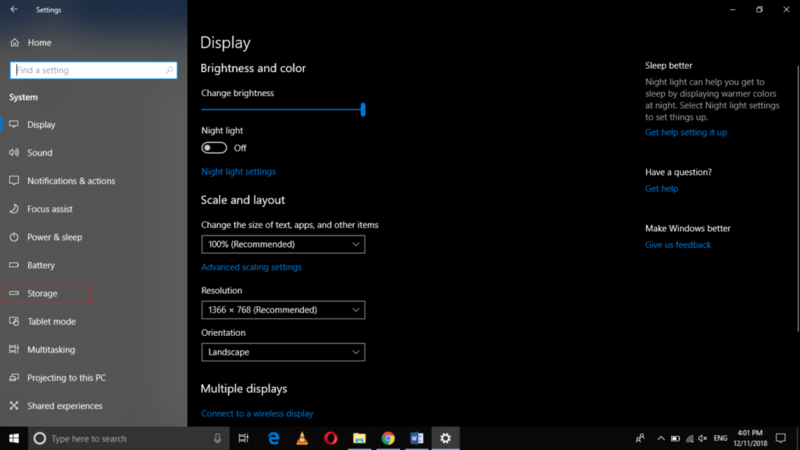 Windows 10 takes care of some of these tasks itself but you can still decide the time of occurrence of these tasks. 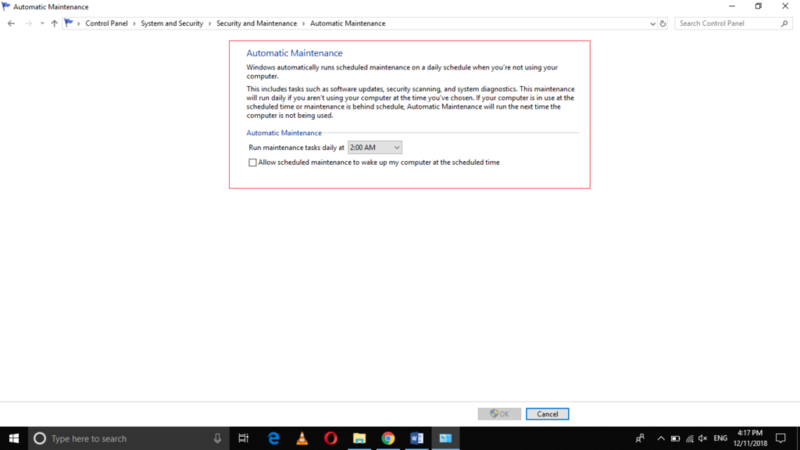 If you manage to follow all these steps correctly, you can hand over your responsibility of manually performing the common maintenance tasks to Windows 10, which can do them automatically for you.